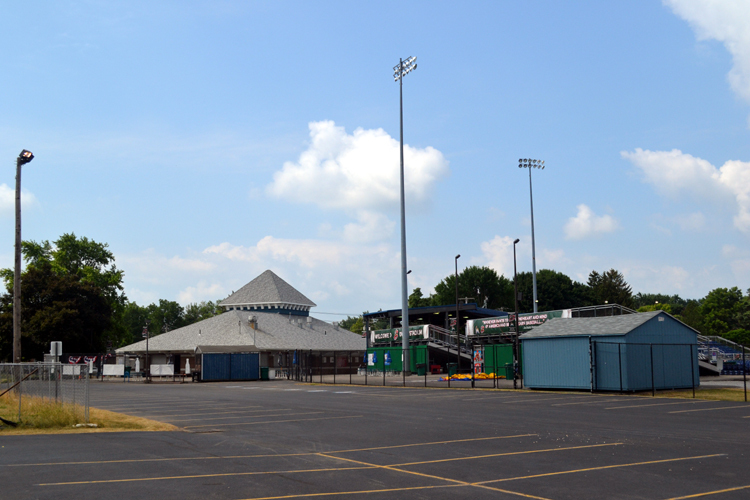 Despite being only 4.5 hours from my front door, Dwyer Stadium, home of the Batavia Muckdogs, isn’t a place that I’d previously managed to visit since I launched The Ballpark Guide in 2010. 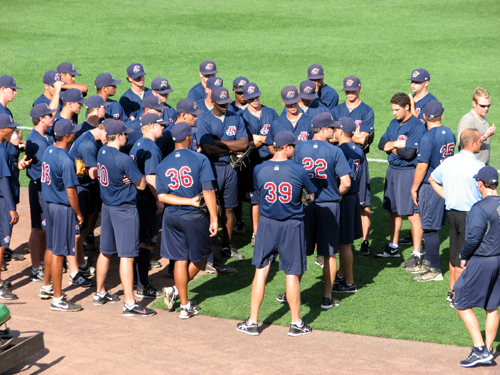 And while I’d visited Rochester’s Frontier Field — just 45 minutes from Batavia — five separate times and zipped along I-90 past Batavia more times than I can count, this New York-Penn League team had never made it onto my road trip schedule. Half of the issue has been scheduling. 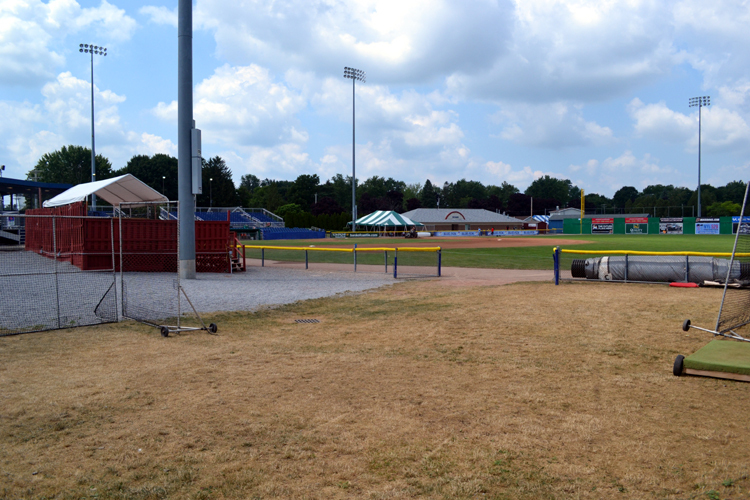 Often, when I’d plan to be near Batavia or would be driving past it, the Muckdogs weren’t at home. The other half of the issue was the fact that the team has essentially been on life support for the last several years. 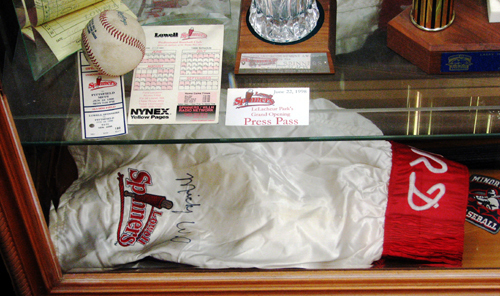 If you follow the NYPL, you’ll be no stranger to the talk about the Muckdogs leaving town. Many recent seasons have seemed like they’d be the team’s last, but the ‘Dogs continue to survive their standing eight-count and hang on. 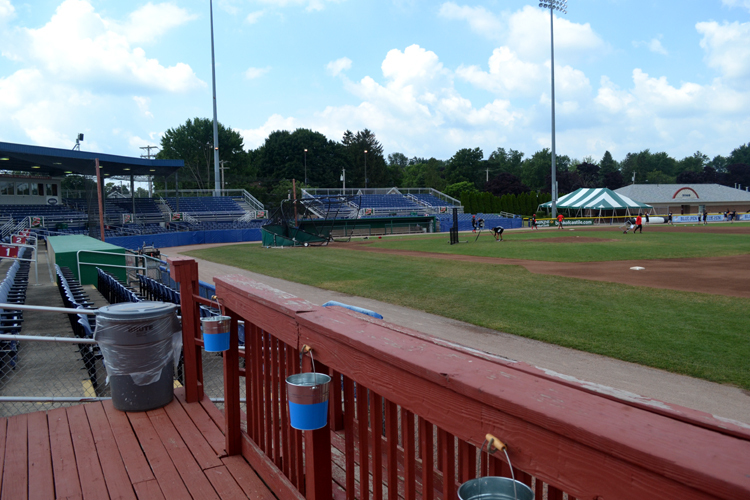 Given the team’s relatively close proximity to where I live, as well as knowing that I’d regret not seeing the Muckdogs if they ended up departing, I knew that 2018 had to be the season that I finally visited Dwyer Stadium — and I’m happy that I made it happen. Leave the house at 5 a.m. 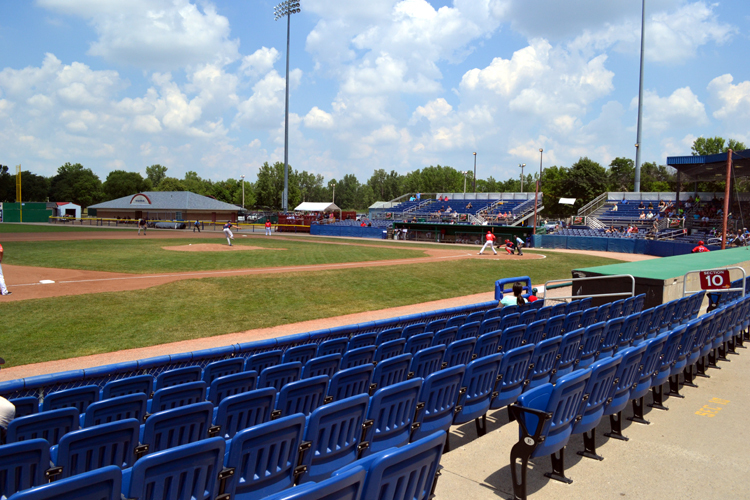 Arrive in Batavia at 10 a.m.
See the Muckdogs host the Lowell Spinners at 1 p.m.
Dwyer Stadium opened in 1996, replacing the team’s former ballpark that was built on the same site in 1939. 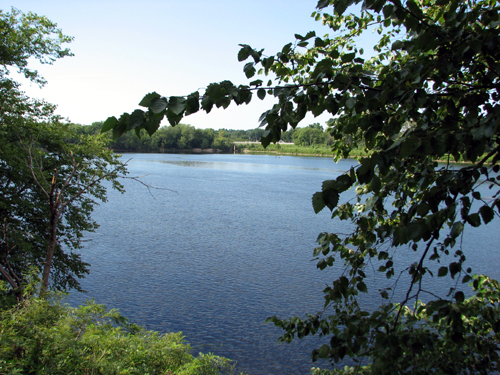 It’s nestled into a residential community, greatly reminiscent of Falcon Park in Auburn. 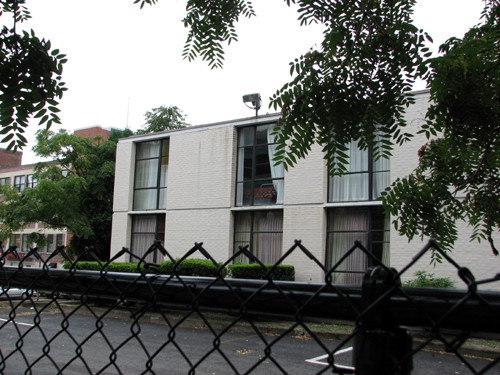 Nearby residents can easily hear the ballpark PA announcer’s words and foul balls can make their way out of the park and onto neighborhood lawns. 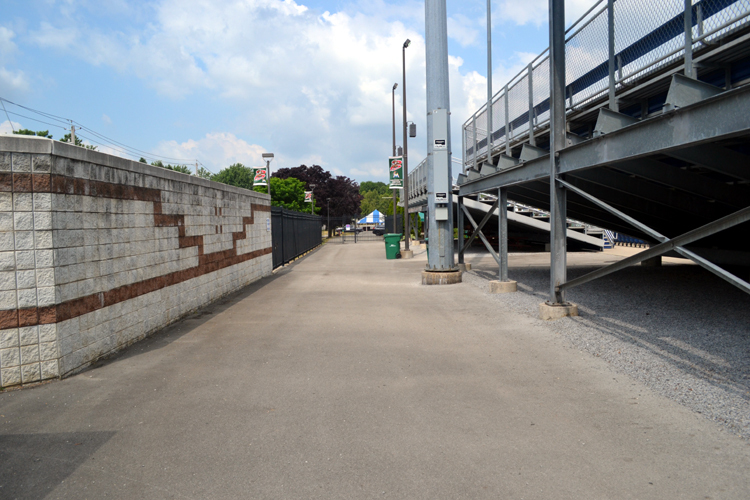 There’s a Little League facility beyond the left field fence and when there’s a lull in the action at Dwyer Stadium, fans can easily hear the kids’ game taking place just out of sight. 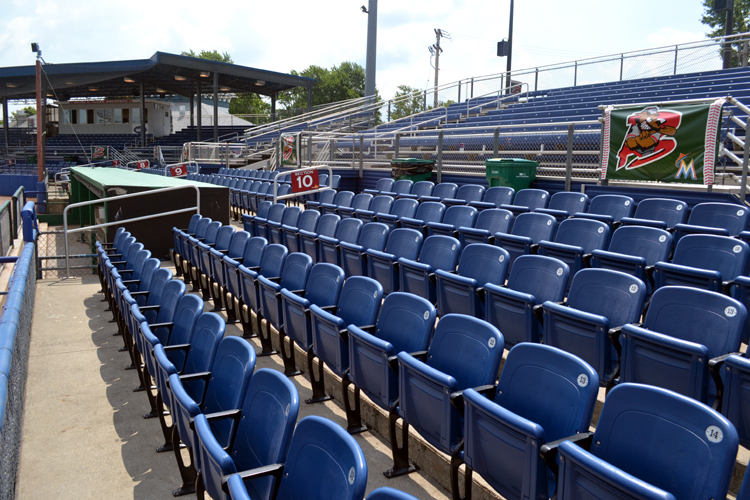 These are things that give Dwyer Stadium an appealing quality, and one that is increasingly rare as ballparks get bigger and fancier. 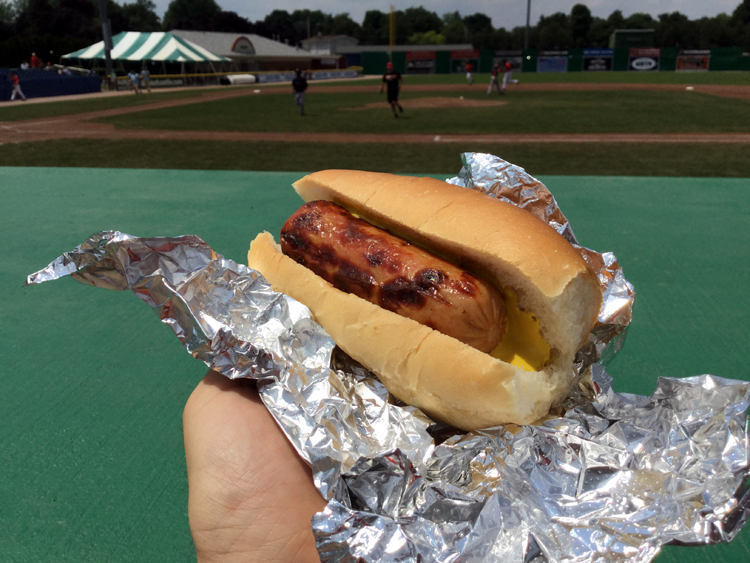 It’s also the type of thing that makes me hope that the Muckdogs are able to stay in Batavia for many more years. 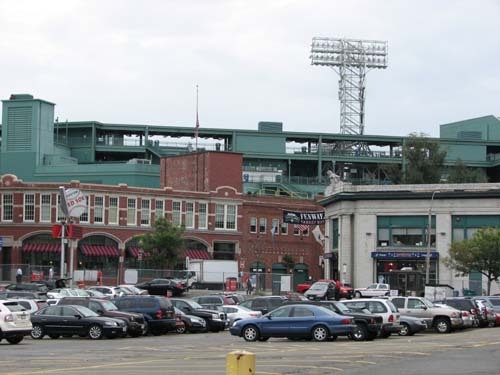 Since the parking lot was almost empty when I arrived, I had my pick of the spots — and chose one far enough away that my vehicle would be safe from foul balls. 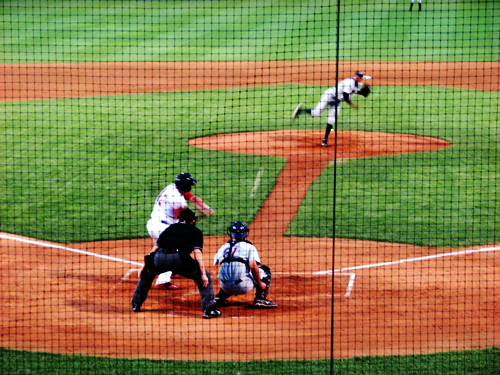 Before I got out of the car, I watched a coach bus pull up and knew that it carried the Spinners, which made me a combination of amused/proud/embarrassed to know that I’d beaten the visiting team to the ballpark yet again. 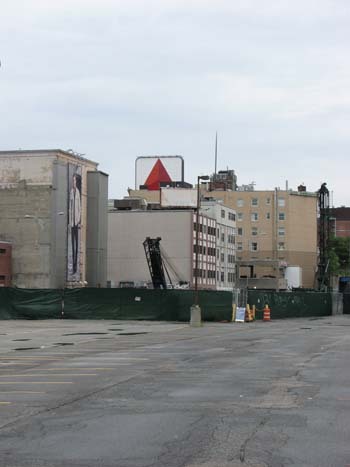 I watched the Spinners climb out of the bus and walk into the visitors clubhouse, which is situated in the right field corner, and then I, too, left my vehicle to begin walking around the park. 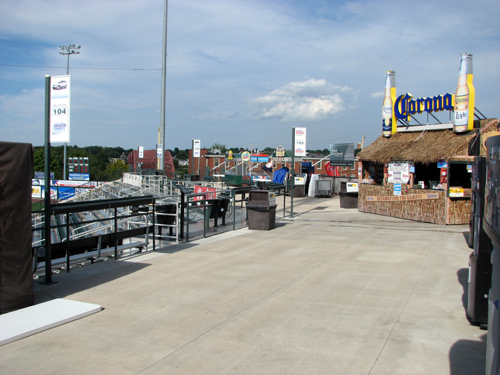 The pointed structure on the left houses the team’s offices and concession stand, while you can also see the sloped grandstands above the green walls and the covered grandstand behind home plate. To take it, I had to stand in the middle of the road — not something that you can do around most parks, but the quiet neighborhood around Dwyer Stadium made it easy. 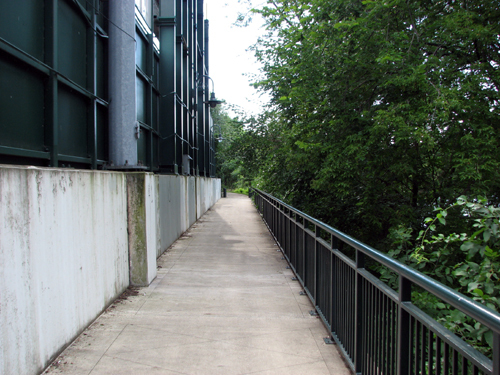 The residential location of Dwyer Stadium isn’t the only thing that makes it reminiscent of Auburn’s Falcon Park. 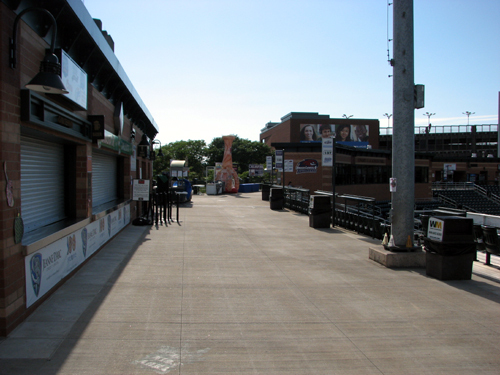 Although the latter opened a season earlier, the two ballparks are virtually identical, and it was fun to see so many familiar sights as I walked around. 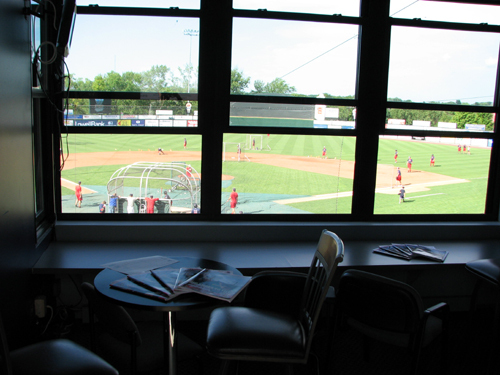 After making a complete lap around the facility, I figured that I’d pick up my media pass and go inside, but then I heard the Muckdogs taking batting practice. 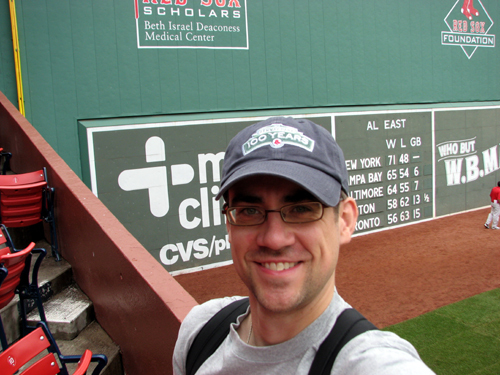 Doing so before a 1 p.m. game is rare, so I quickly ran back behind the outfield fence in the hopes of snagging a home run ball. 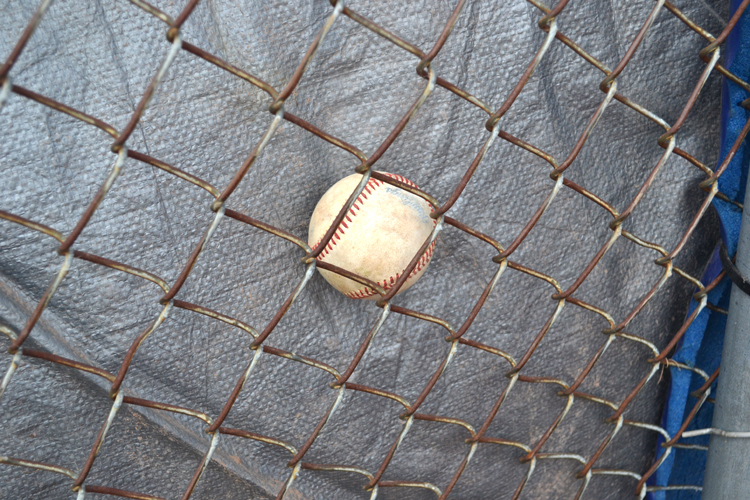 Luck wasn’t in my favor — the fence is taller than most, and given that players at this level are still developing (and often using wooden bats for the first time) it’s definitely not a home run league. 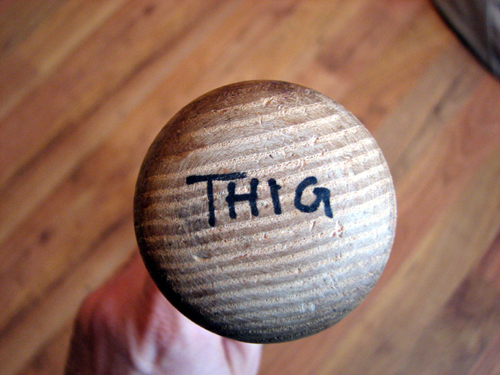 After a few minutes of not seeing a single ball leave the yard, I decided to head inside. 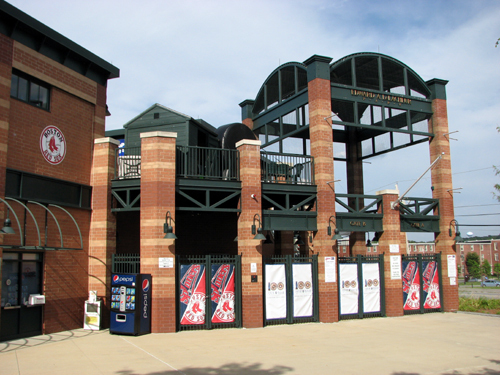 The main concession stand is just out of the frame to the left, and the structure that you see is the backside of the team’s offices. 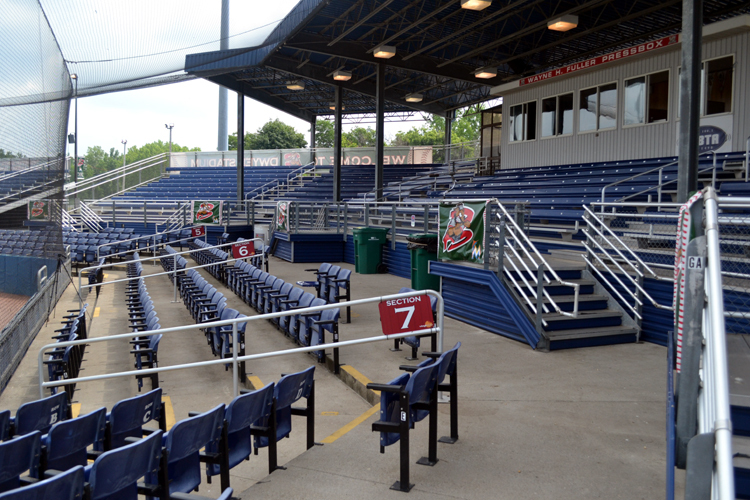 The grandstand, of course, is on the right, and the gray wall in the middle of it is the back of the press box. 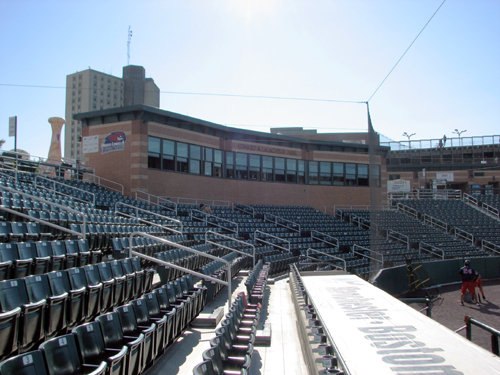 When I visit ballparks like Dwyer Stadium, I often think about what the experience might be for players. 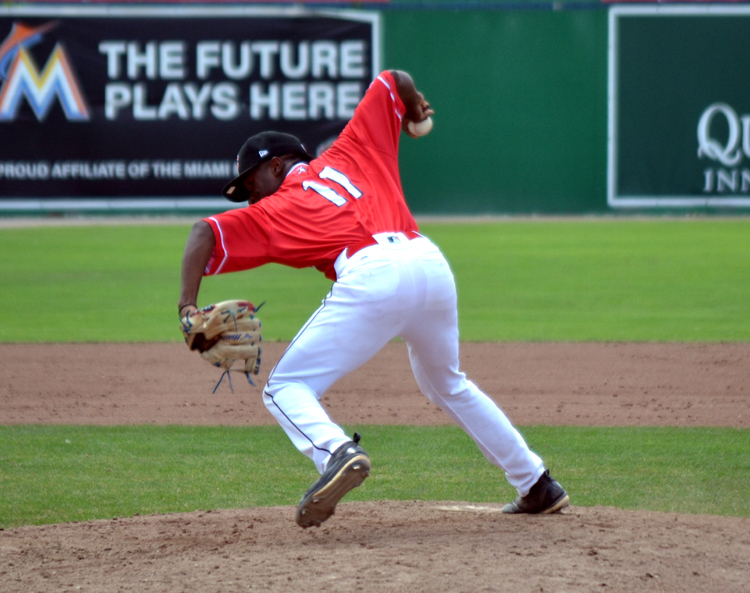 The Muckdogs are affiliated with the Marlins, and I can’t help but suspect that the gap between Batavia and Miami feels bigger than the 1,450 miles it actually is. 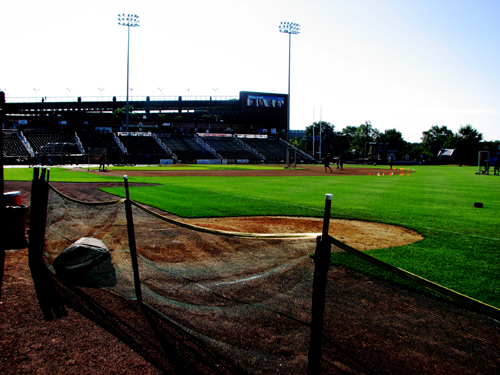 The big leagues have to feel like a long shot when you’re in Batavia, but your motivation is never too far away. 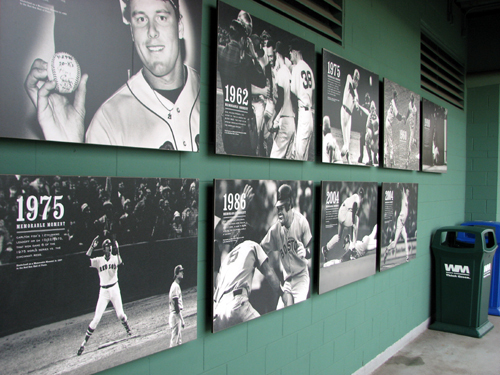 Behind the grandstand, there’s a huge wall display that recognizes the big leaguers who began their pro careers in Batavia. It’s an impressive list, too, with names such as Chase Utley, Ryan Howard, Marlon Byrd, JA Happ, Carlos Carrasco, Lance Lynn, Matt Carpenter and many more. 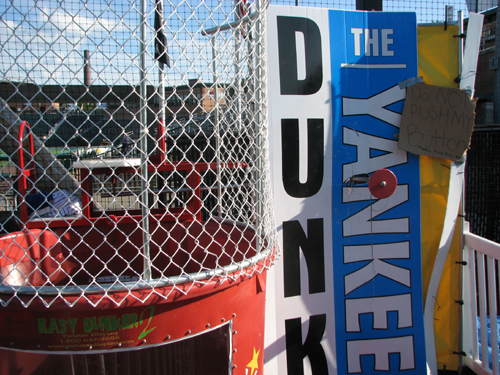 One interesting thing that I noticed in this spot is that the Muckdogs were using a pitching machine for batting practice. 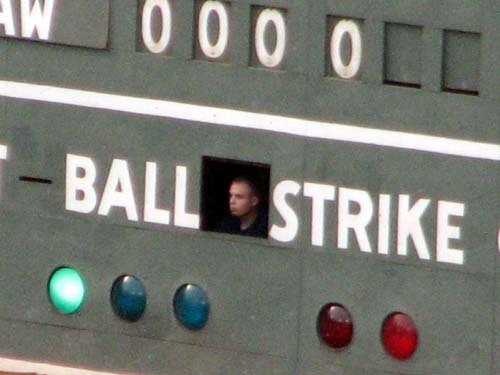 I don’t know if I’ve ever seen that in all of the ballparks I’ve visited. 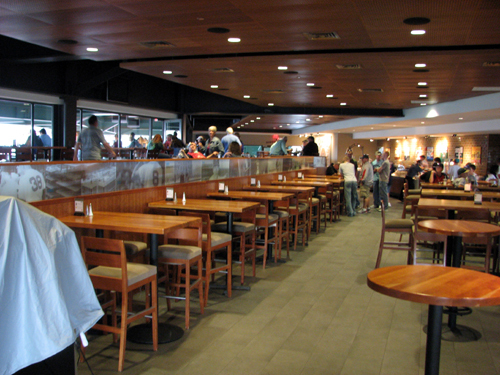 The party deck has a small number of seats and a bar, and I later noticed that it was packed from first pitch through the ninth inning. 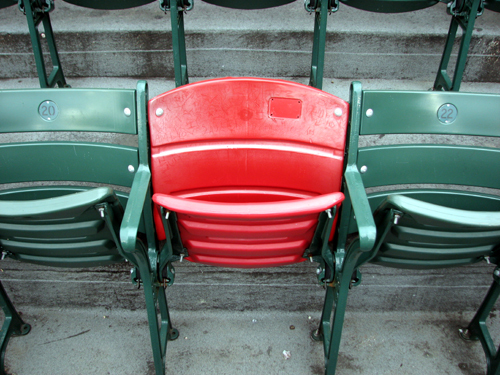 … you’ll notice that there are only five rows of seats below the cross-aisle. 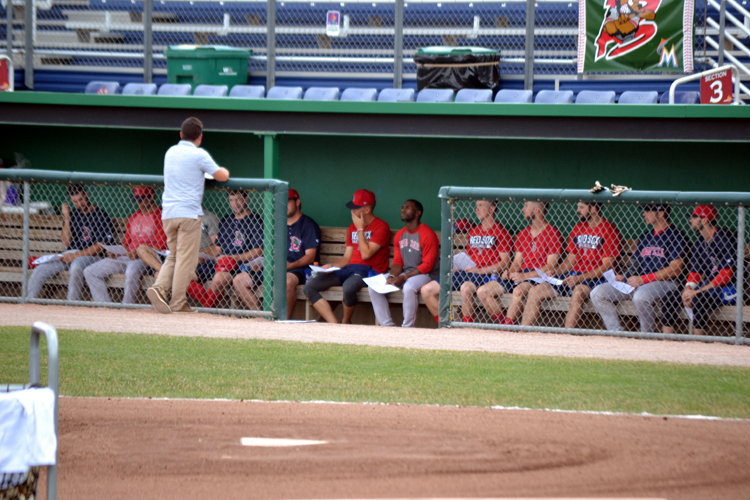 I especially love how the front row allows you to look right into the dugout, which is one of the ways that fans can get outstanding access to players at this level. 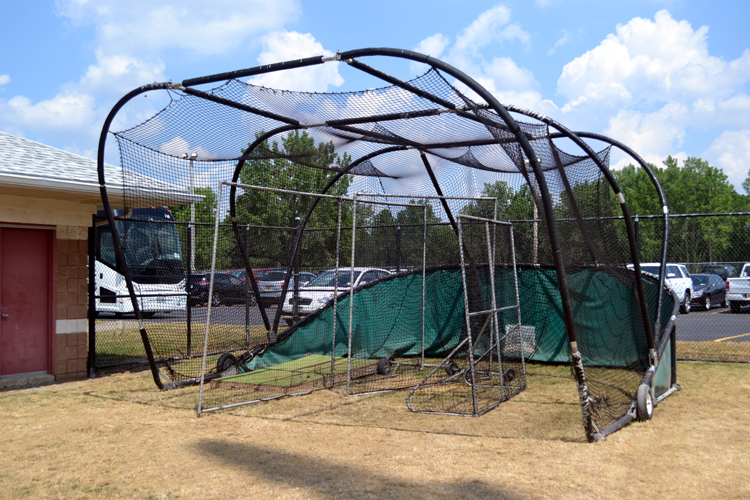 You may have also noticed that Dwyer Stadium doesn’t yet have its dugout netting up, which I was happy to see. 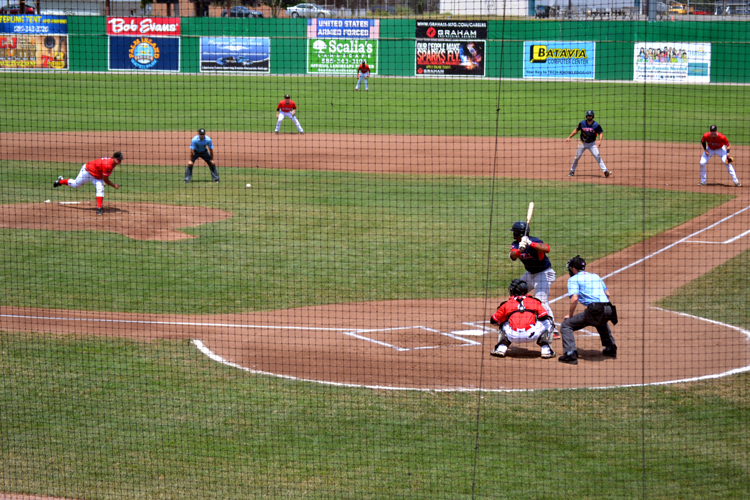 A while later, both teams came out to get warmed up, and in a true “you know you’re at a minor league game” moment, I watched two members of the home side playing catch with a pair of fans who were standing on the grass next to the picnic area down the third base line. 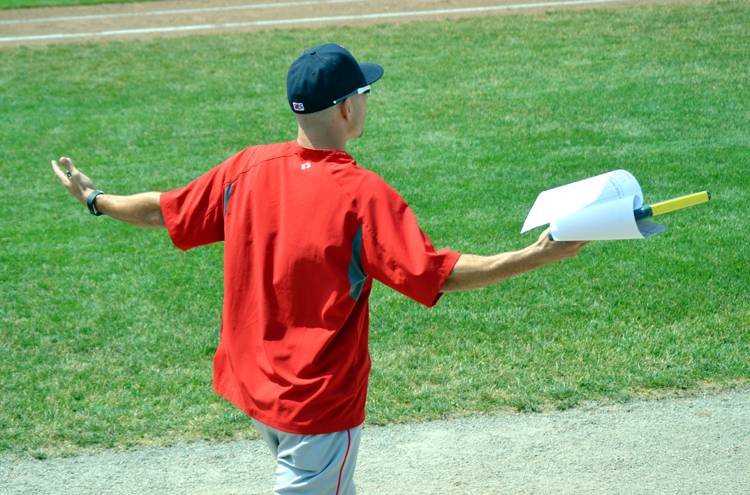 It wasn’t just a couple of tosses, either — they were consistently playing catch for several minutes. 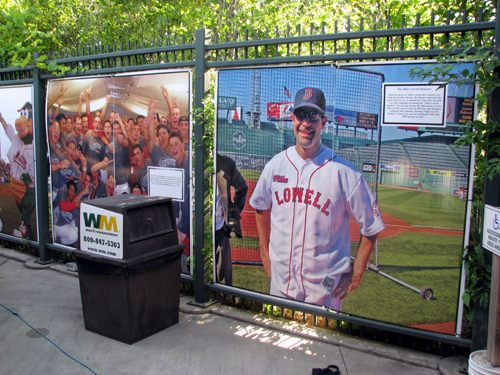 As I watched, I saw my buddy Mark Firkins waving at me from halfway across the ballpark. He’s someone I met when I was in the Cleveland Indians #TribeLive suite three season ago, and we’ve kept in touch ever since. 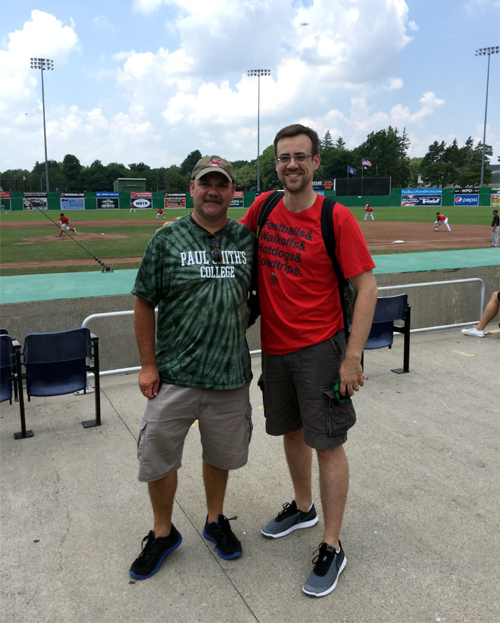 He lives close to Batavia, so he and his son Travis made plans to be at this game. It was great to get caught up with him. He’s an Indians fan who attends a lot of games in Cleveland each season, which is a heck of a feat, given that it’s about a four-hour drive each way. As I noted earlier, it was very hot and sunny, so the bulk of the fans were seated in the shade behind home plate or up on the bleachers with umbrellas. 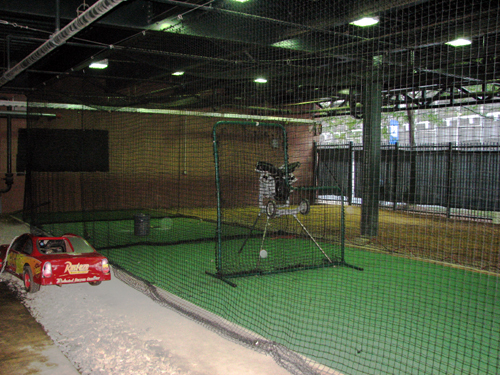 At most of the parks I’ve been to, even those in the lower levels of the minors, the batting cage is kept in a spot away from the fans. I couldn’t resist thoroughly checking it out and, of course, standing in it for a few minutes. In a sense, it’s too bad that I’d decided to attend an afternoon game instead of an evening one. 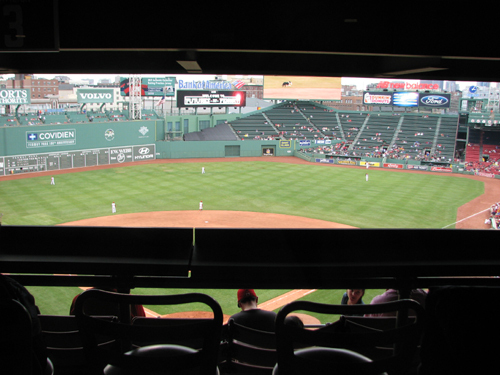 Mark told me that the sunset views from this spot in the stadium are outstanding, and that would’ve been nice to see. Mark, Travis and I said our goodbyes as soon as the game wrapped up. My initial thought was to go check out some Little League action for a while, but the sunburn on my arms, knees and face told me that getting into some air conditioning would be a better idea. 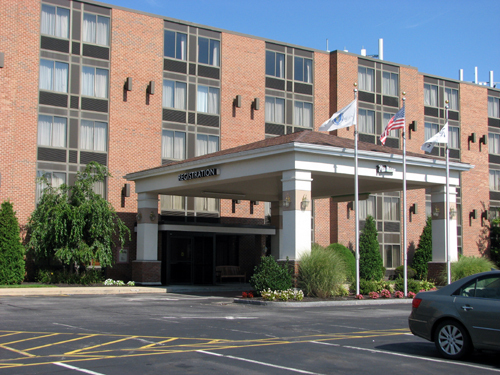 I hopped in my car, drove less than five minutes to my hotel, and soon was enjoying the shade and the cool — and thinking about taking a short drive to Rochester in the morning. 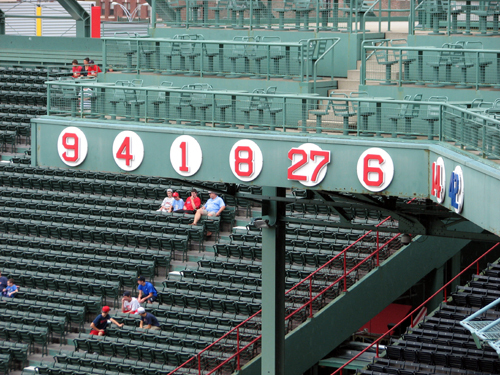 I was lucky enough to see 18 games at 16 parks in 2012, and while last year wasn’t quite as busy as 2011, in which I saw 29 games in 24 parks, it was still packed with awesome moments. 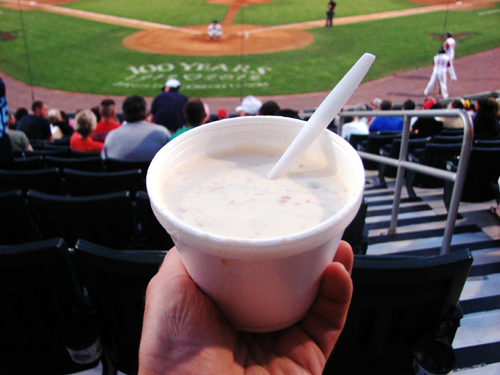 For a complete rundown on everywhere I’ve been since I started The Ballpark Guide in 2010, you can check out this link. 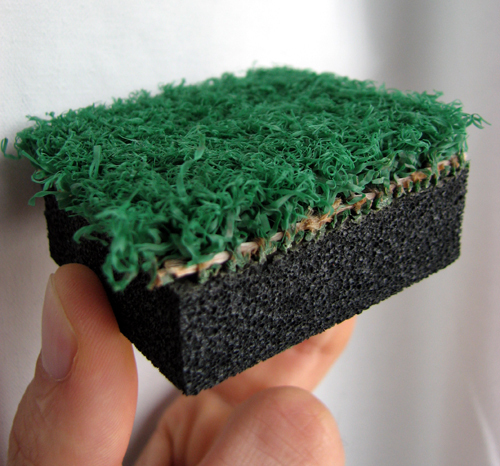 On my travels, I occasionally get to pick up some neat souvenirs. 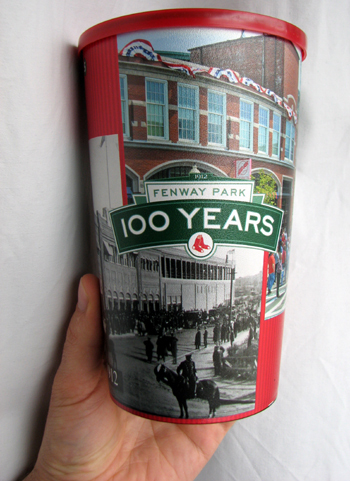 Traveling in itself is expensive, so I don’t always splurge for extras, but between some neat ballpark giveaways, cool things to buy and unforeseen adventures, I’m often able to pick up a few things of note. It’s big enough (4 feet by 4.5 feet) that it’s hard to photograph, but I think you’ll agree that it looks great. 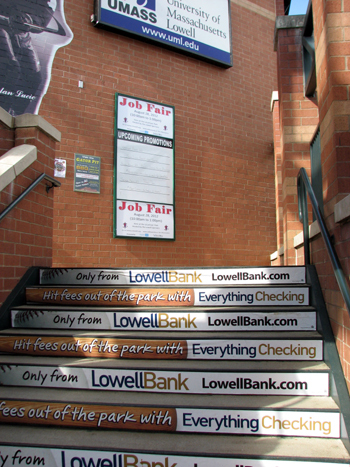 A few days later, I visited LeLacheur Park, home of the Short Season-A Lowell Spinners. This visit was outstanding. Not only did I get a comprehensive tour from Jon Boswell, the team’s director of media relations, but the ballpark is absolutely beautiful. 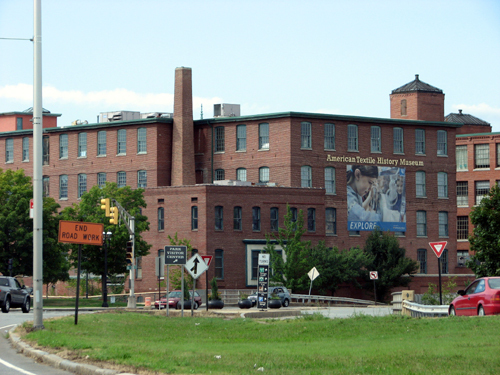 During our tour, we talked about boxer Micky Ward being from Lowell and Jon told me he’s met Ward on more than one occasion. 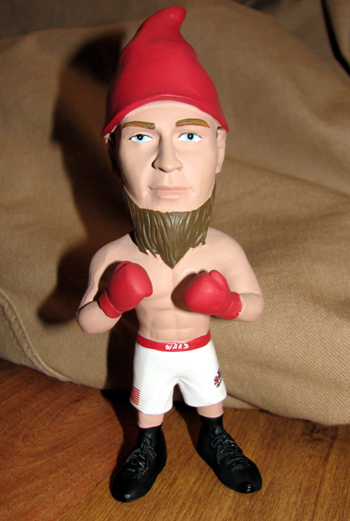 In fact, the team had had a Micky Ward garden gnome giveaway at one point. Before I could hardly comment, Jon rifled through a box in the team’s office and dug up a Ward gnome for me! As you can see, I haven’t taken it out of the package yet, as I’m still contemplating whether to stick it to something or not. 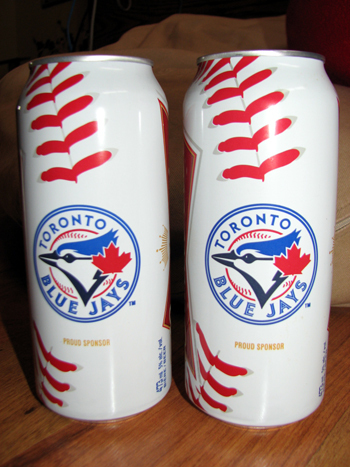 I used to collect sports-themed commemorative soda cans, but I’m a big fan of these Budweiser Jays cans. It’s the name plate off former catcher Curtis Thigpen’s locker stall in the clubhouse. 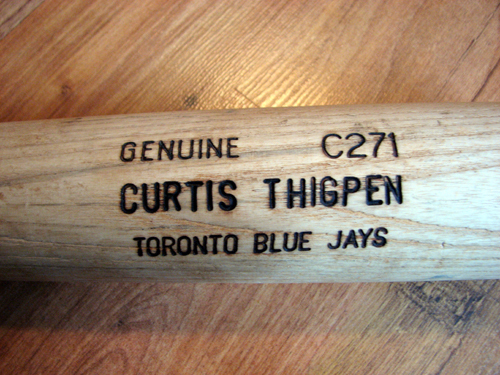 Thigpen played just 57 games over parts of 2007 and 2008 with Toronto, but he was a prospect I followed very closely. 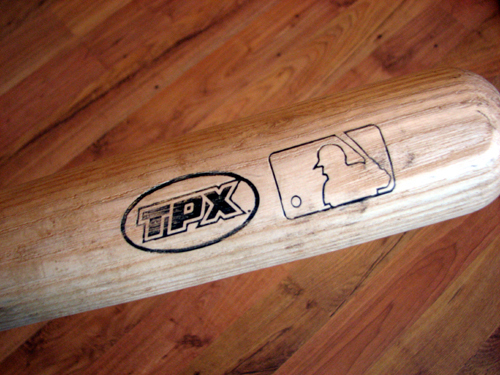 I’m a huge Texas Longhorns fan, and when the Jays drafted Thigpen out of Texas in 2004, I was super pumped. 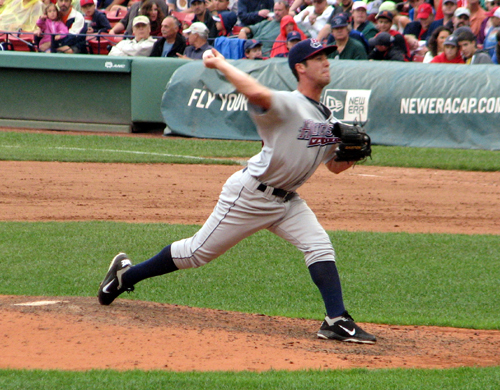 I closely followed Thigpen’s progress through the minors, including his stops in Auburn, Lansing, New Hampshire and Syracuse, and although he had a short MLB career, he was one of the guys I really rooted for. 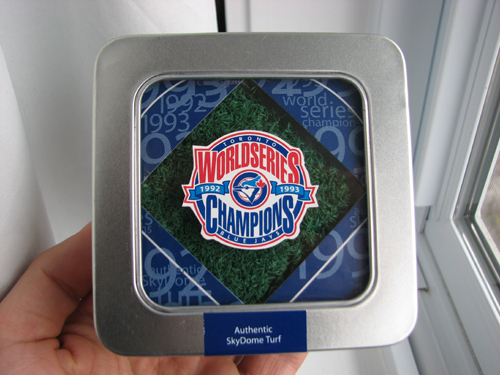 This was his name plate during the 2008 season and, as you can see, it’s got the MLB authenticated hologram in the lower right corner. 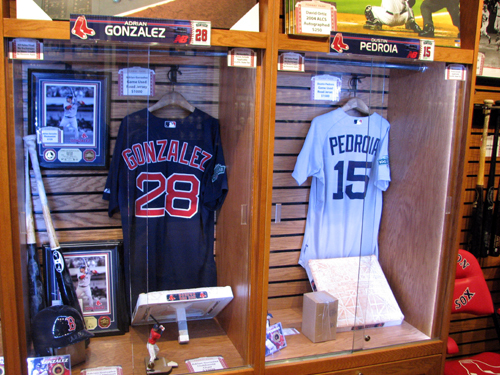 In fact, I’ve got the clubhouse name plate and bat displayed together here in my home office, and they look awesome. I wonder what souvenirs I’ll end up picking up this year. 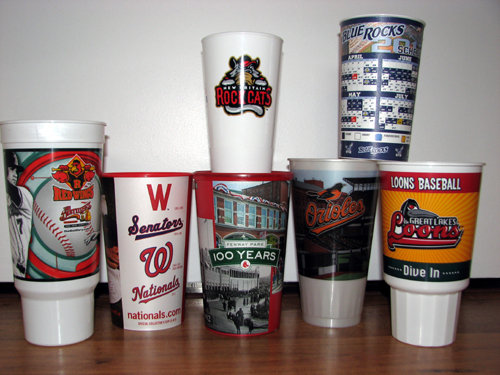 I’m going to be visiting a ton of ballparks in 2013; significantly more than I did in 2012, so there’ll be lots of opportunities for neat items to grab and share with everyone here. 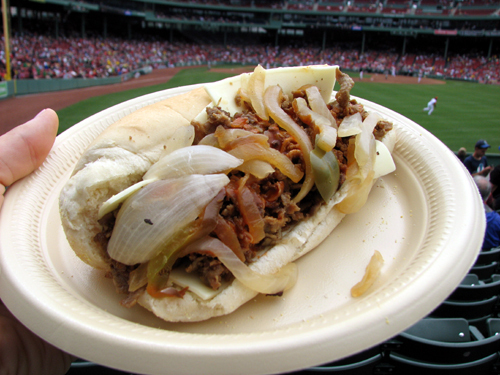 Thanks for reading and please remember to follow me on Twitter and visit The Ballpark Guide to help support my trips! 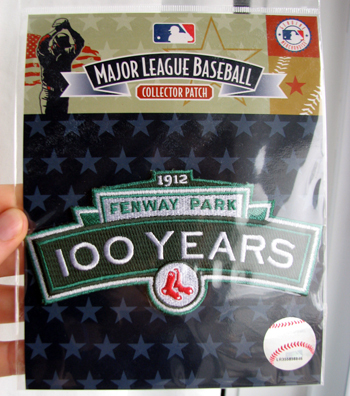 Nearly a year ago, I spent a bunch of time scanning and posting all my tickets from my baseball road trips in 2010 and 2011 for The Ballpark Guide, and I think it was a neat look at how different teams do their tickets. If you haven’t seen that, you can view that post here. 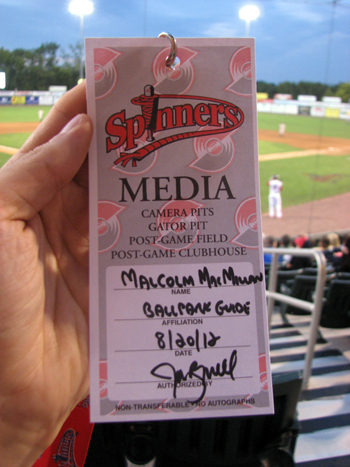 And then, after my first road trip from this past summer, I blogged about all the media passes I received. You can read all about it here. 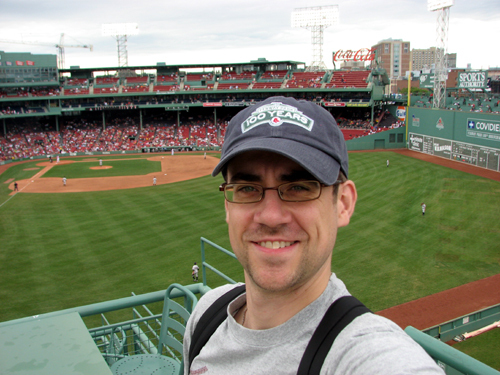 On my second road trip of 2012, I was fortunate enough to get media passes to most of the games, but occasionally bought my own ticket. All this means that in this post, I’ll have a combination of media passes and tickets to share with you. 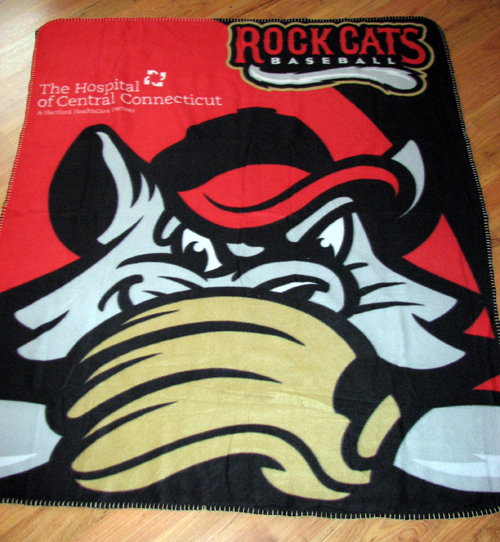 The first game of my August road trip was in Troy, N.Y., to watch the Tri-City ValleyCats. I meet the team’s media/production manager Chris Chenes for a pre-game tour, and as he gave me my press pass, he said, “One to add to your collection. I saw your blog entry about media passes.” It was a cool moment, and thanks again, Chris, for everything. 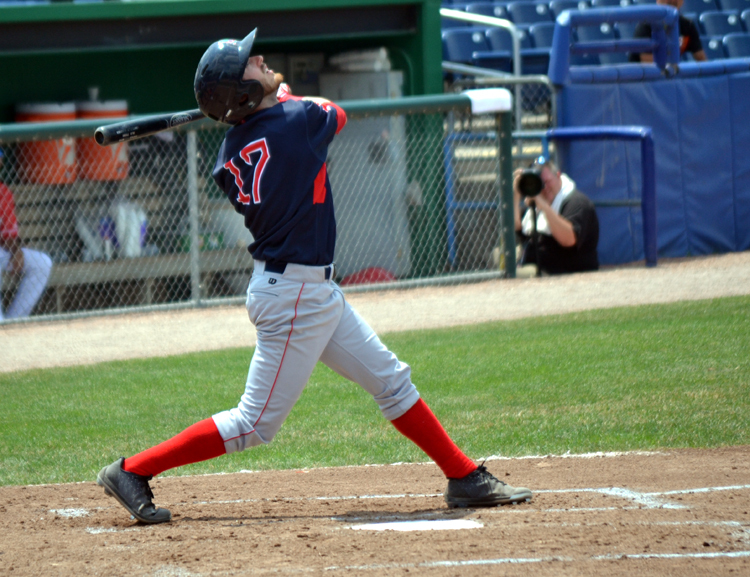 If you’re interested in the ValleyCats or the New York-Penn League, you can follow Chris on Twitter. 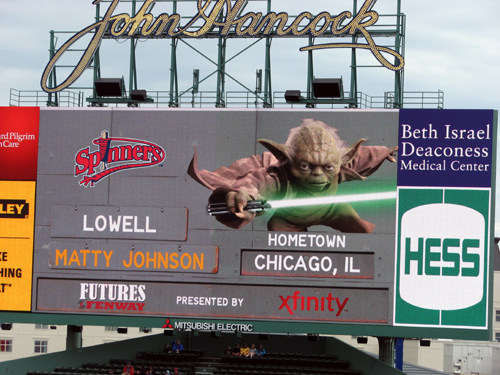 Next up was Boston, where I watched the absolutely outstanding Futures at Fenway doubleheader. 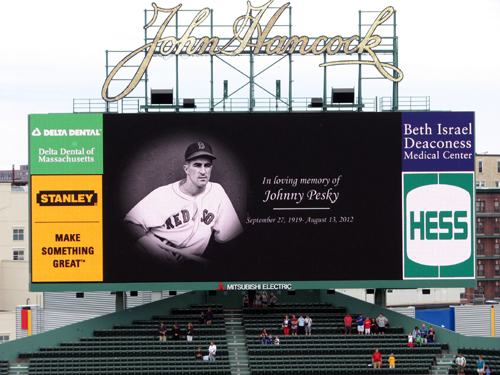 I bought my own ticket for this event, but it was well worth it for eight-plus hours in Fenway Park. For some reason, this ticket has decided to grow legs and is hiding from me. When I’m able to solve this troubling conundrum, I’ll post the ticket here. 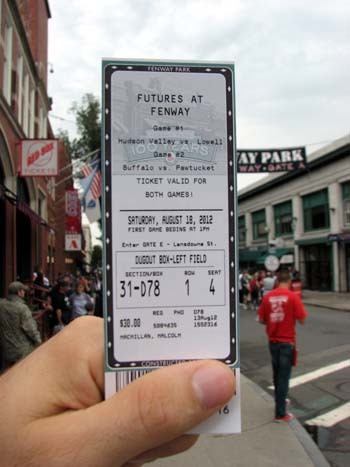 If you read my blog entry about the BoSox game, you might recall that I paid $15 more to park than I paid for my ticket. Ugh. 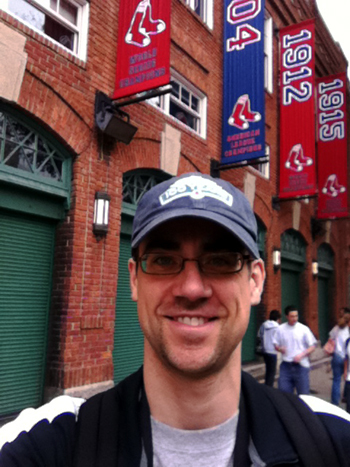 Could a ballpark visit be augmented because of my love of boxing? Yes. Yes, it could. 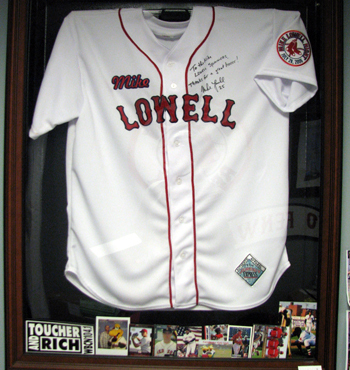 Boxing has been one of my favorite sports for a long time, and I vividly remember junior welterweight Micky Ward wearing a Lowell Spinners jersey while walking to the ring before his “fight of the century” with the late Arturo Gatti in 2002. 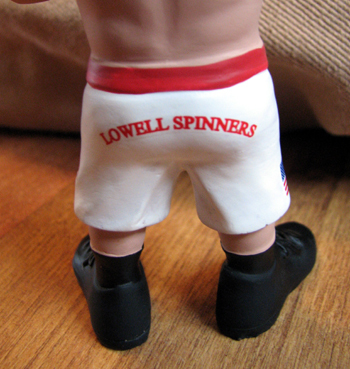 He also wore trunks emblazoned with a Spinners logo. 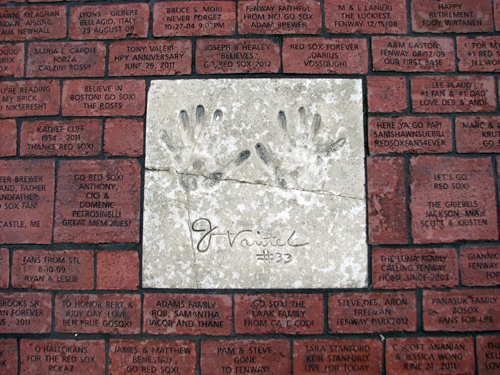 I didn’t know a ton about Minor League Baseball back then, but Ward (long before he was a household name after his life story was told in The Fighter) was one of my favorite boxers and I thought it was cool that he was giving a nod to a ball club. 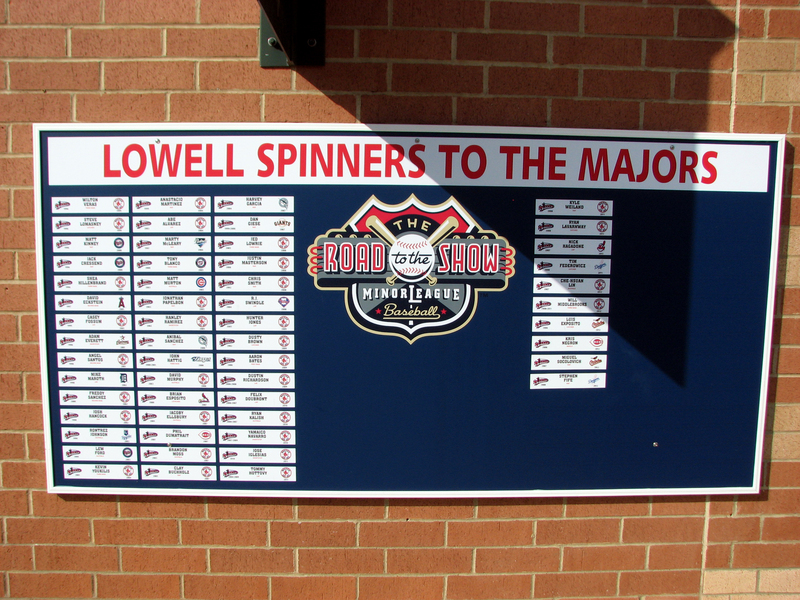 Fast forward a decade, and I was excited to be visiting Lowell, MA, to see the Spinners as part of my latest baseball road trip for The Ballpark Guide. 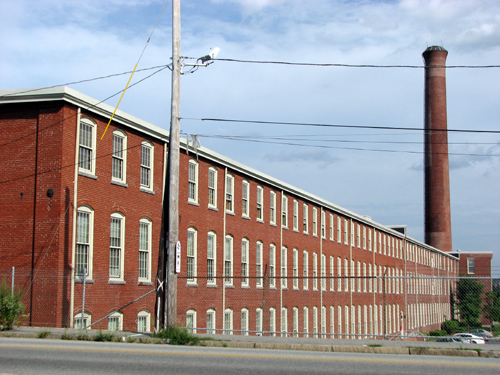 And, yes, Lowell is Ward’s hometown and is heavily featured in The Fighter. 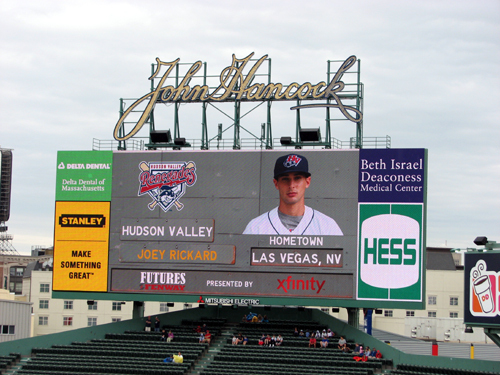 I had a few hours to kill before the evening’s game between the Spinners and the Hudson Valley Renegades, so the plan was to check in and do some blogging. 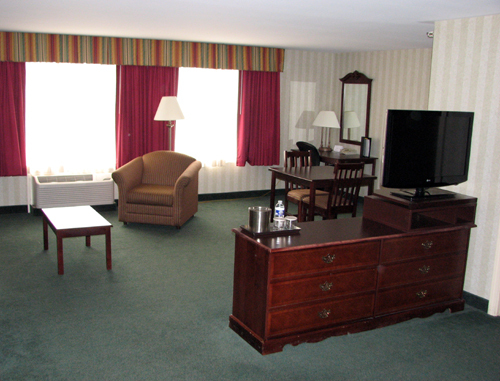 When I arrived, I noticed three athletic-looking guys sitting in the lobby. My initial reaction was to assume they were members of the Renegades, but I had to remind myself that the world doesn’t revolve around Minor League Baseball and not every athletic-looking person plays in the New York-Penn League. But then, I saw that one of the guys was holding a document on Tampa Bay Rays letterhead, and given that the Rays are the Renegades’ parent club, I knew my initial reaction was correct. And I’ve gotta say, it was pretty cool to know I was staying at the same hotel as the team. 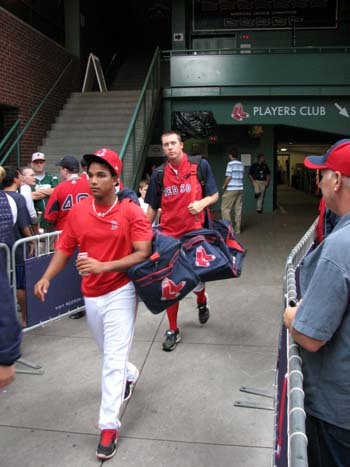 Soon enough, the bus departed for the 10-minute drive to the ballpark, and I followed shortly thereafter. 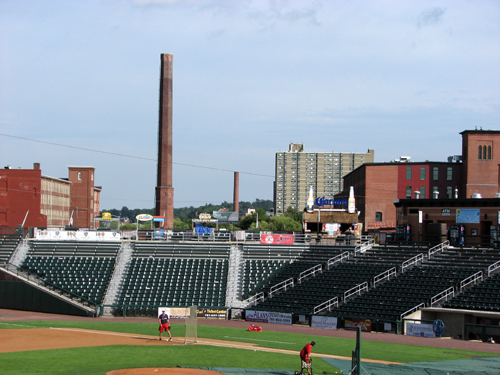 As a side note, the Merrimack directly past Northeast Delta Dental Stadium, home of the New Hampshire Fisher Cats. I wonder which river takes the prize for running past the most ballparks. 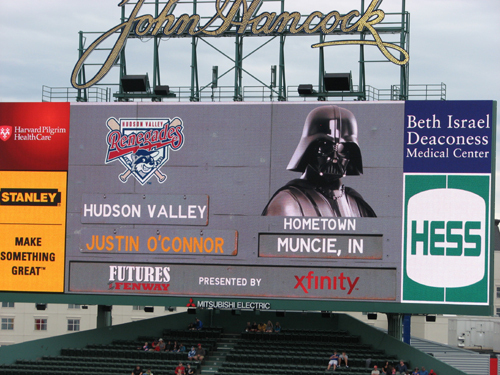 Jon later told me that if the team’s sales staff can figure out a spot to display an ad, they’ll do it. I think they’ve got the stairs covered, don’t you? I’ve said it before, but I’ll reiterate that it NEVER gets old to get into a ballpark early and be able to explore before the crowds fill it up. Regardless of the park, it’s one of the coolest experiences I get the privilege of enjoying on my trips. Afterward, I went down to field level and just enjoyed watching BP for a few minutes. That enjoyment, however, quickly dissipated as bee after bee decided to check me out. 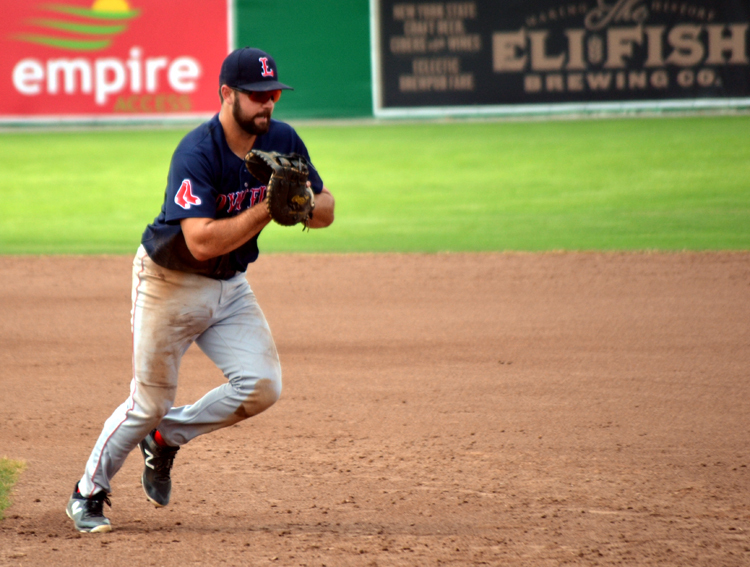 Now, this is obviously no fault of the Spinners, but LeLacheur Park was inundated with bees. 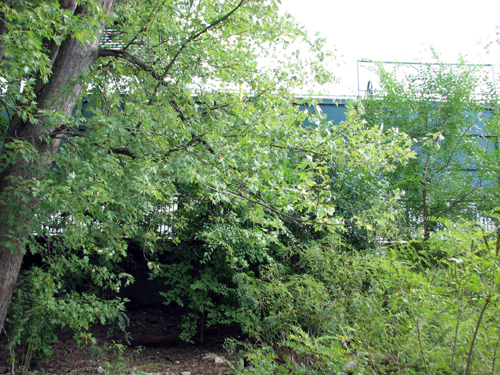 (Jon later told me the bee problem had begun a few days earlier and an exterminator was already fixing the issue.) People who know me know that I freaking hate bees. I don’t play the fake “I’m allergic” card, either. I just hate them. I don’t have any love for things that will sting you for no good reason. They are a scourge, I say. A scourge! 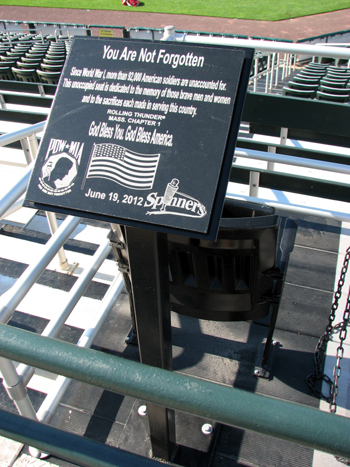 The Spinners dedicated this box seat earlier this summer in honor of the 92,000 (!) American soldiers who are unaccounted for since World War I. 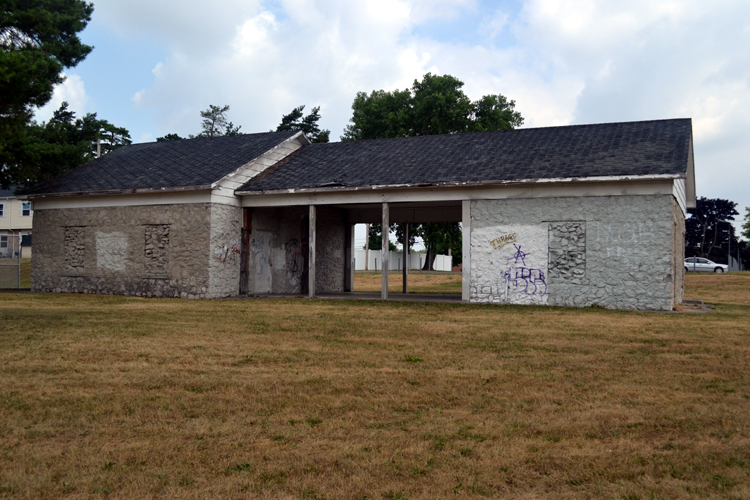 It will always stay empty and Jon told me it’s got the best view in the park. Really neat stuff. (This is one of the reasons tours are so great — if I miss anything on my own, I get to learn about it from someone in the know.) 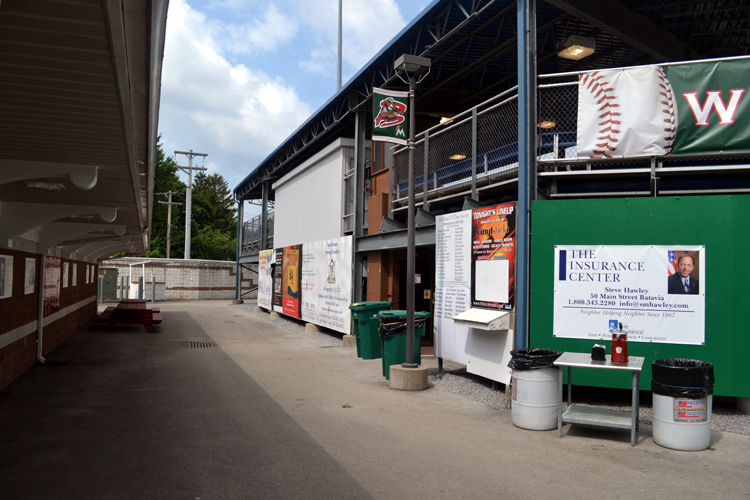 From this area down the first base line, you can actually watch the game from on the field. Talk about getting close to the action! 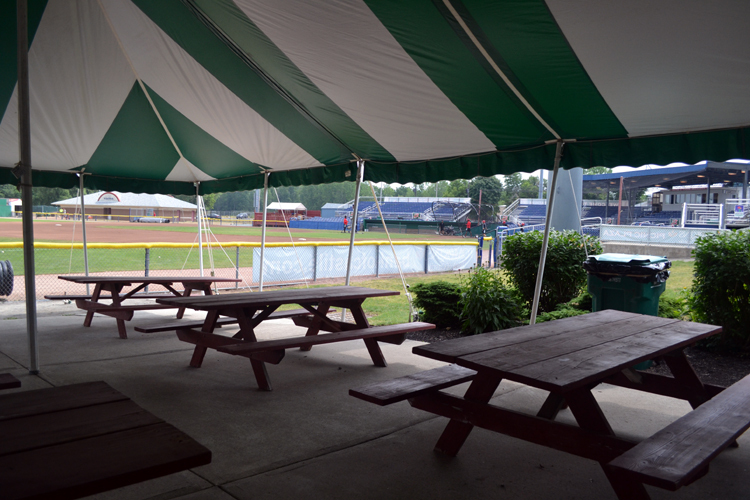 Some parks have seating that is very close to the field, but at LeLacheur Park, you’re actually standing on the clay. 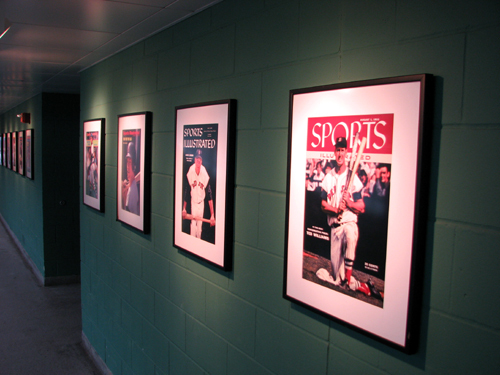 And through the office, which features a display case that includes a pair of Ward’s Spinners trunks! 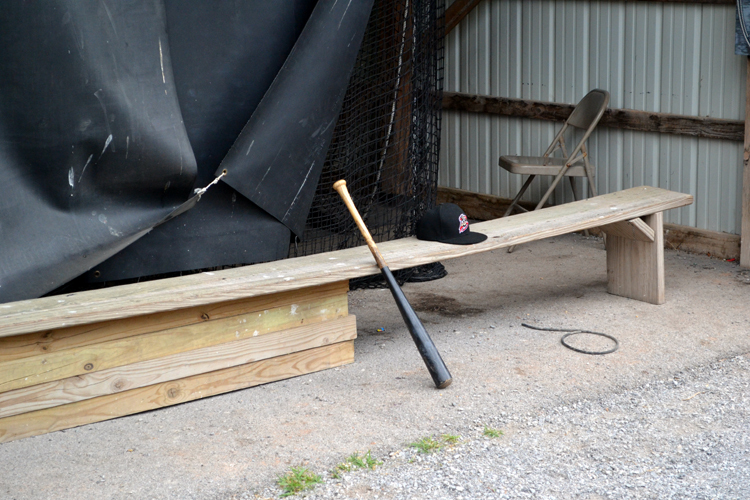 Our tour flew by, and soon enough, Jon had to get back to his pre-game duties. It was a great tour. Thanks, Jon! 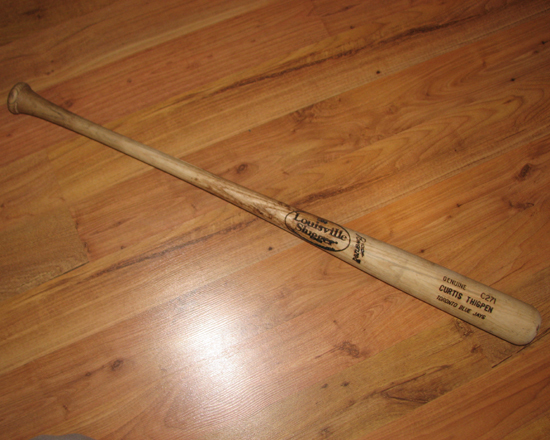 Before we parted ways, Jon gave me a neat souvenir that I’ll feature in a future blog post. … and just enjoyed the rest of the game. It was a perfect night. PS: While I enjoy photographing the food I eat on my travels, I did not get the camera out to document the pizza I ate about 11 p.m. Sharing it here would result in you thinking that I am a glutton. 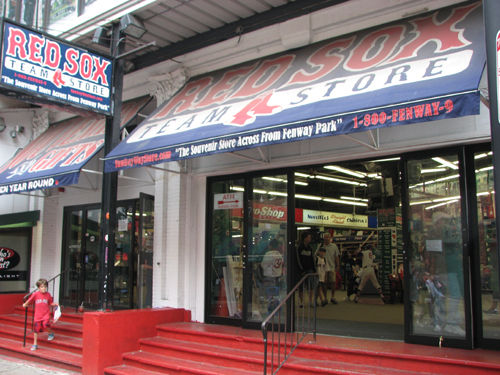 Finally, the day of my first visit to Fenway Park was here. But this visit had a twist. 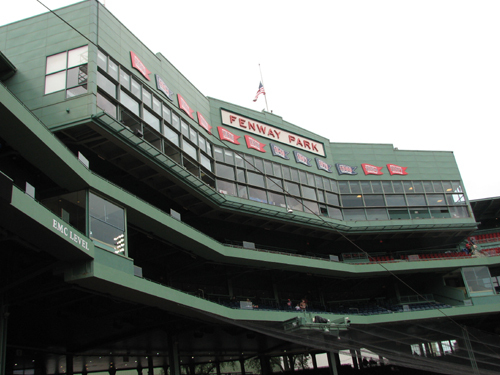 Instead of seeing the Boston Red Sox, I’d be attending the seventh Futures at Fenway day, which features a pair of Minor League games for affiliates of the Red Sox. 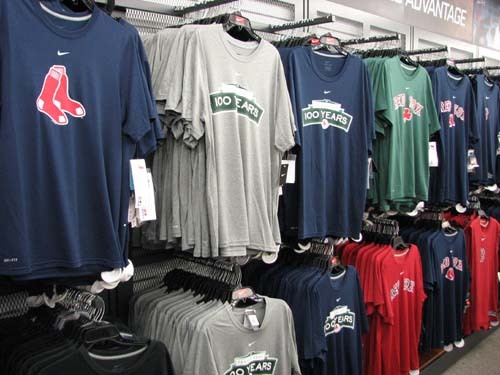 The premise is the Minor Leaguers will get to play a game at Fenway and the fans will get to enjoy a full day of baseball for relatively low prices. 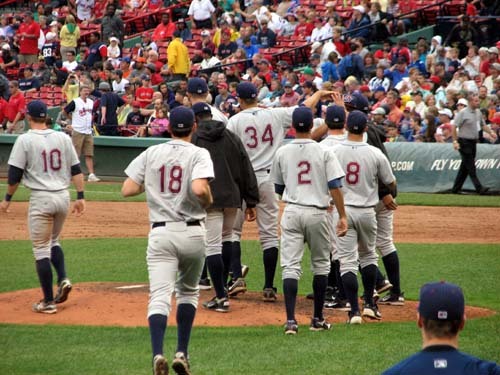 This year, the two Boston affiliates in action were the Short-Season A Lowell Spinners and the Triple-A Pawtucket Red Sox. I’ve wanted to go to this event since I first heard about it a few years back, and the timing here could not be more perfect. 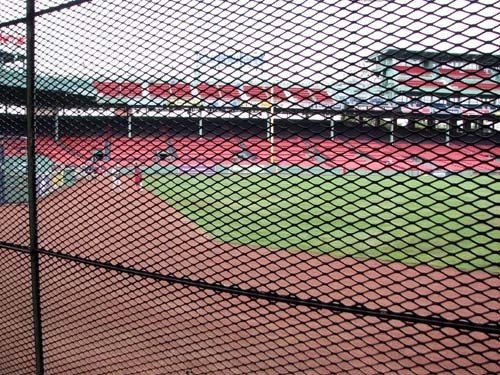 I’ll be checking out the BoSox on August 21 and 22, but beforehand, I get the opportunity to explore Fenway Park without it being absolutely packed. It’s hard not to get pumped just reliving the experience through these photos. 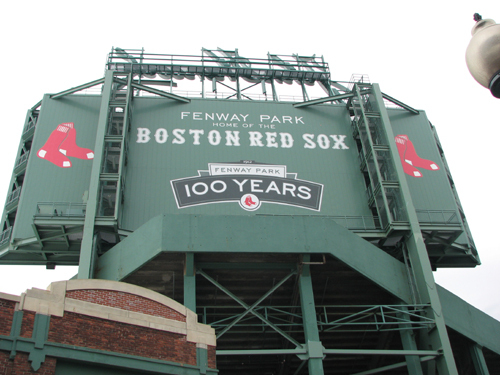 It truly was amazing to see Fenway Park standing before me for the first time. 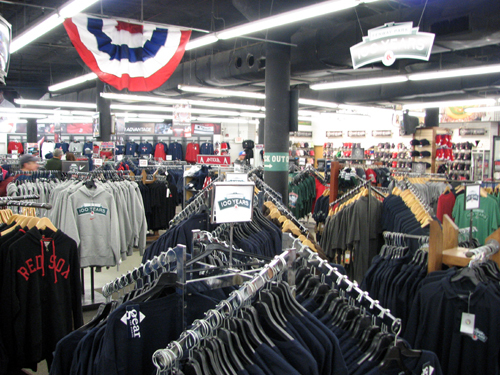 It seemed like I was the only person in the area without some sort of Red Sox garment, so I quickly stopped at the first team shop I saw and bought a Fenway 100 cap, which incidentally knocks off two items on my to-do list for the trip — get a new cap and get something with the Fenway 100 logo. Now, I should say that I’m not going to go nuts with the photos in this post. 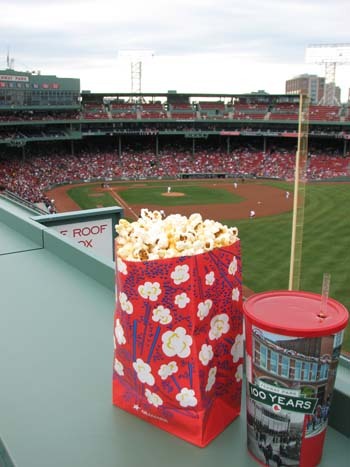 Well, maybe a bit, but considering I took nearly 400 and I’ll be at Fenway twice more this week, I need to practice some moderation. 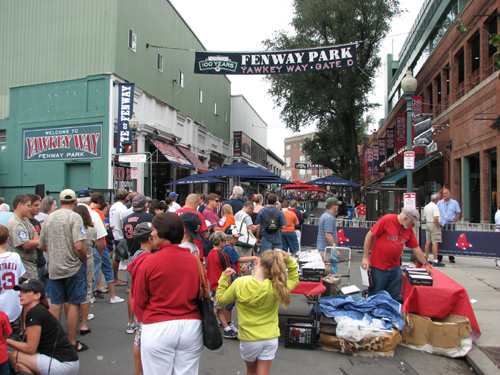 A bit about Yawkey Way: It’s a street along one side of the ballpark and it’s full of cool things to see and do. 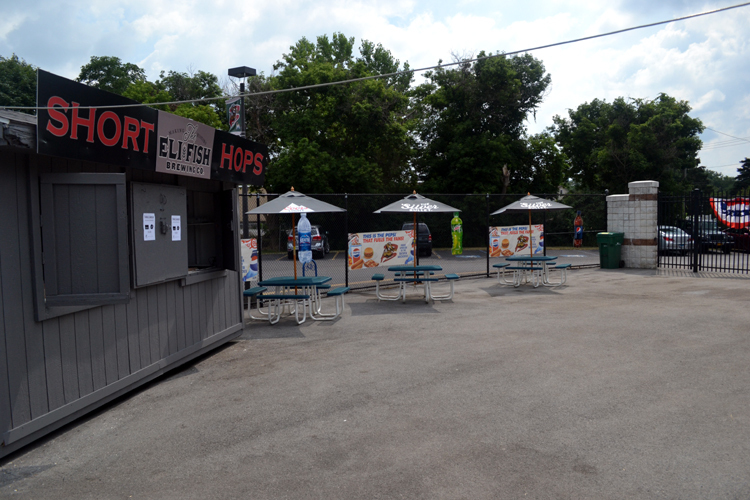 One side is basically a humongous merchandise store and the other side has food vendors. 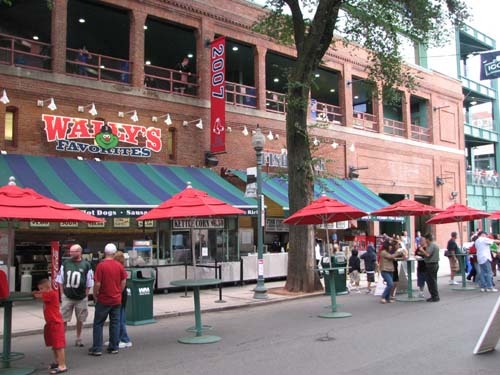 It’s open before the game, but a short while before the park’s gates open, everyone is cleared out of Yawkey Way and it’s blocked off. 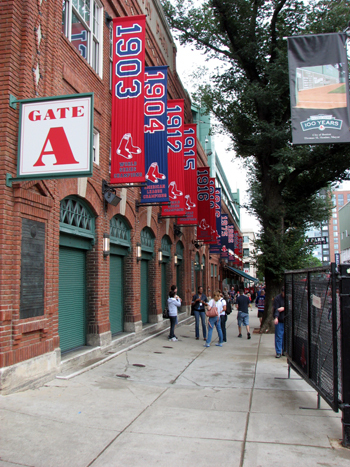 This is done so that after you enter the park, you can go out to Yawkey Way and still get back inside when you want. 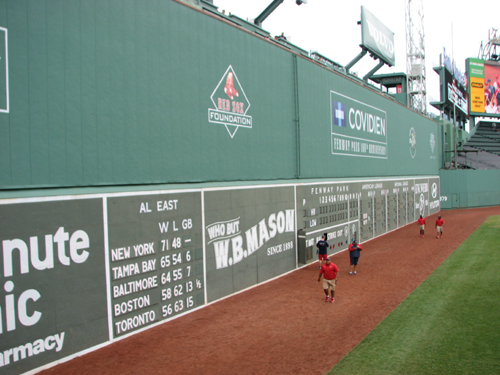 It’s basically an extension of Fenway Park. The entire time I just had this feeling of, “I can’t believe I’m here.” I don’t tend to like people who tell me that I “should” go do something, but if you’re a baseball fan and haven’t been here, I’ll just say that you’ll love it. I wasn’t sure if it would completely meet my expectations, as I’ve wanted to come here forever and it’s easy to build something up in your mind. But it was way more than I expected. 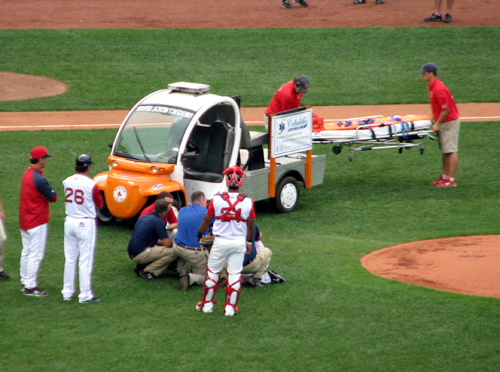 He sustained multiple fractures of his orbital bone, but had no signs of a concussion. Let’s hope he heals as quickly as possible. 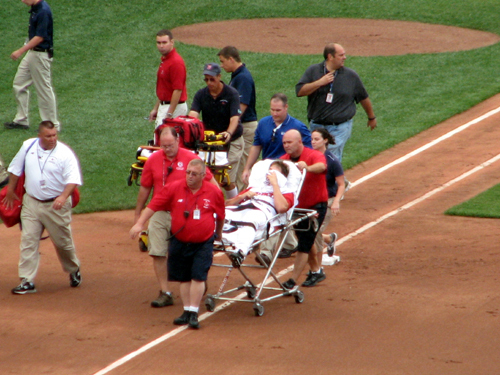 You feel for anyone who suffers this injury, but to have his Fenway experience end so prematurely is sad. … success! 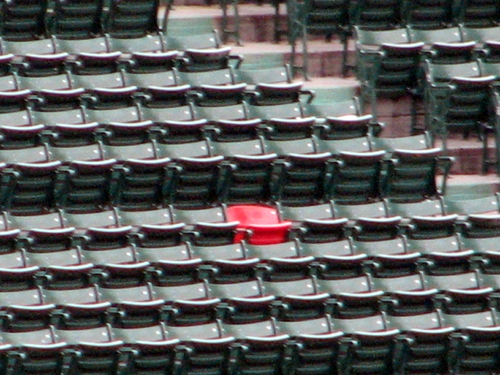 The Lone Red Seat is one of Fenway’s must-see sights. 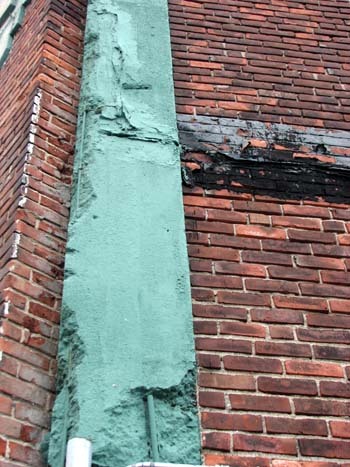 It’s represents the longest home run ever hit in the park — a Ted Williams blast in 1946 that landed on the fan in the seat, exactly 502 feet from home plate. The fan, whose straw hat was “penetrated,” according to Wikipedia, reportedly said, “How far away must one sit to be safe?” Awesome. 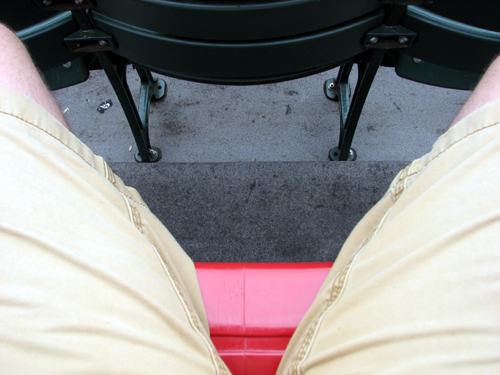 I tried to get a shot of myself in the seat with the red showing, but most of the images just show my crotch. I shall not be posting them on here. Or will I? BWA HA HA! 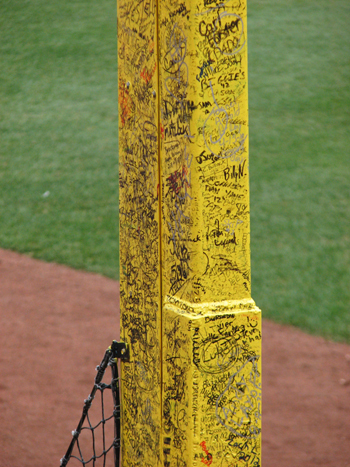 I’d love to sign it, but need to find out whether fans are actually allowed to, or do they just sign it anyway? I imagine it’s the former, as you’d think the ushers would be on top of things if it wasn’t permitted. 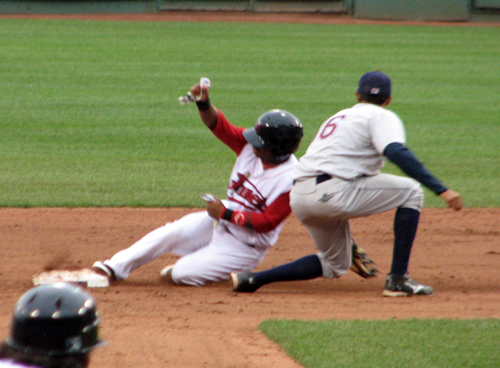 For the last three innings of the first game, I found a seat down the third base side to take some action photos. 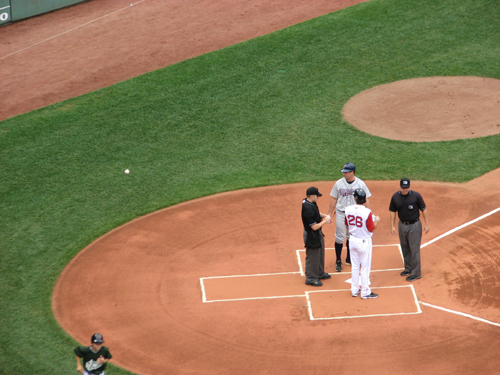 I’ve got to say that Fenway’s ushers were remarkably helpful/easygoing. 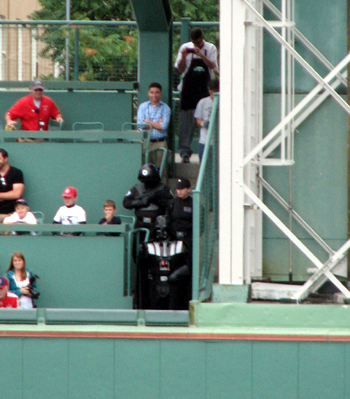 Maybe they’ll be more vigilant during Red Sox games, but on Saturday, they were great. 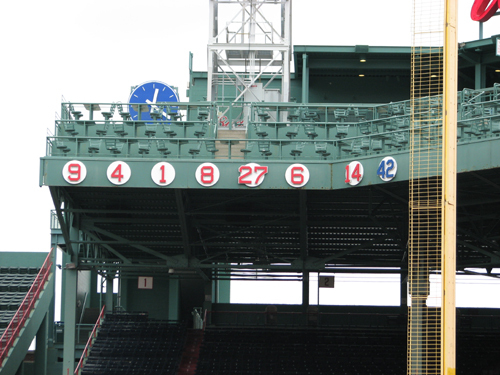 The entire Futures at Fenway experience was phenomenal. 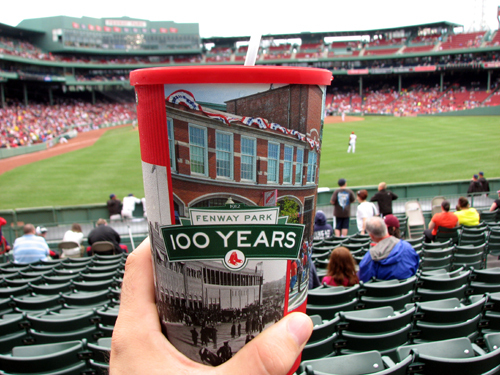 I highly recommend it to everyone, whether you’ve been to Fenway or not. 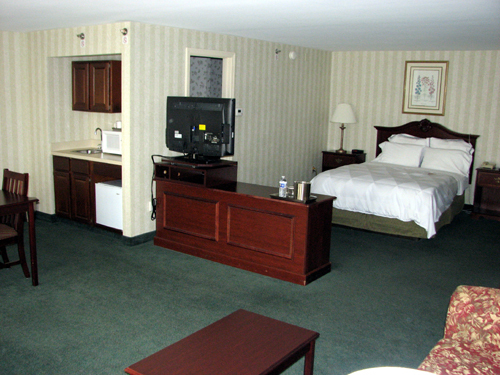 It’s a great way to get accustomed to the park without giant crowds or huge expense. 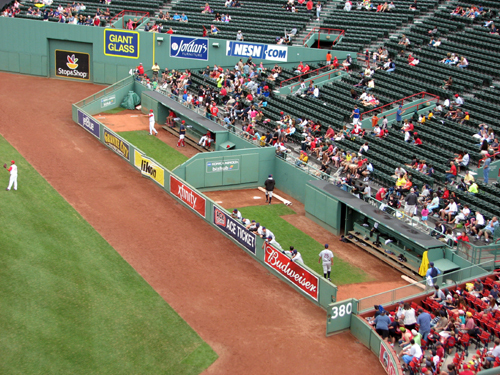 And speaking of crowds, I’d be seeing the Red Sox at Fenway in just a couple days. 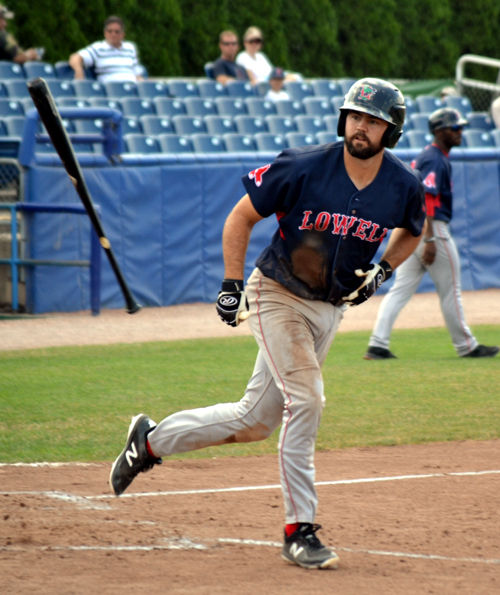 But in the meantime, there were stops at the home parks of two of the teams involved in the Futures doubleheader — Pawtucket and Lowell.